If you are a lucky owner of one of the 11 000 mid-century Eichler homes located in northern and southern California, chances are you are also a design and architecture savvy person who appreciates fine details. Proud Eichler home owner Carmen realized this and are therefore offering authentic Eichler house numbers for sale through her website eichlernumbers.com. You can buy any digit combination from two to five numbers styled in the original Akzidenz Grotesk typeface that the original signs used. 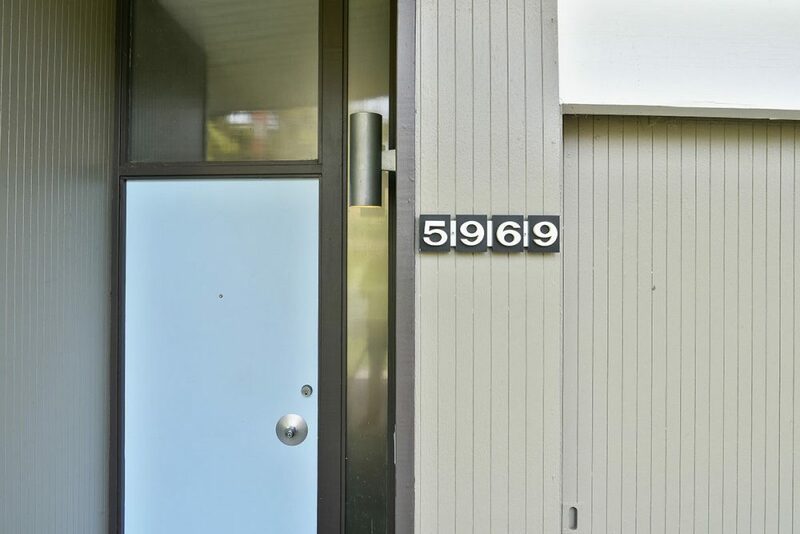 The original Eichler address numbers made a statement about the style and sensitivities of mid-century modern homes. A clean sans serif face that offers unornamented function. Just the thing for the transition into the “New Atomic Age”.